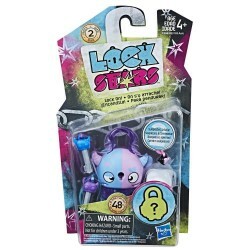 Item: E3659 Ages: 4+ yearsLock on with Lock Stars figures, the collectable lock accessory that’s full of surprises! 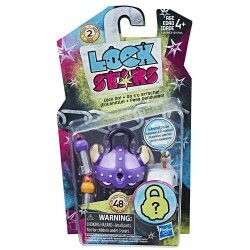 Item: E3663 Ages: 4+ yearsLock on with Lock Stars figures, the collectable lock accessory that’s full of surprises! Item: E3655 Ages: 4+ yearsLock on with Lock Stars figures, the collectable lock accessory that’s full of surprises! 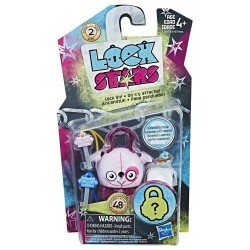 Item: E3657 Ages: 4+ yearsLock on with Lock Stars figures, the collectable lock accessory that’s full of surprises! Item: E3658 Ages: 4+ yearsLock on with Lock Stars figures, the collectable lock accessory that’s full of surprises! Item: E3664 Ages: 4+ yearsLock on with Lock Stars figures, the collectable lock accessory that’s full of surprises! Item: E3656 Ages: 4+ yearsLock on with Lock Stars figures, the collectable lock accessory that’s full of surprises! Item: E3661 Ages: 4+ yearsLock on with Lock Stars figures, the collectable lock accessory that’s full of surprises!